Over the last twenty years, Zivan have become experts in every kind of battery charging, monitoring and care. Zivan opened in 1985 as a branch of the Zapi group, a European leader in high frequency motor controllers for battery powered machines. Thanks to constant diligence and devoted research into the planning and the innovation of high technology devices, they have become a leader in this field, with a range of “switching” battery chargers that is the most complete and flexible on the market. Since 1983, when the Patent “Zanichelli-Righi” of the first high frequency controlled battery charger was registered, Zivan has reached high levels of quality and reliability recognized and rewarded with a worldwide success which is constantly rising. The Single Phase Battery Charger BC1 is an innovative device with extraordinary versatility, reliability and efficiency. Different software may be installed to change the charging features and adapt them to every kind of battery. Due to its size and light weight, this model is especially suitable for on-board installation, in addition to the “on wall” installation. Consequently, the machine can be recharged from any available outlet, without driving the machine to a specific charging area. Bump Test (referring regulation IEC 68-2-29). More and different charging curves are available for spacial batteries and non-standard applications! The Single-phase battery charger NG1 is an innovative device with extraordinary versatility, reliability and efficiency. Different software may be installed in order to change the charging features and to adapt them to every kind of battery. The reduced size of this model allows both installation on a wall, and on-board. Consequently the battery can be recharged from any available outlet, without driving the machine to a specific charging area. More and different charging curves are available for special batteries and non-standard applications. The Single Phase charger NG3 is an innovative device with extraordinary versatility, reliability and efficiency. Different software may be installed to change the charging features and to adapt them to every kind of battery. The reduced size of this model means that it can be not only installed on the wall, but also carried on-board. Consequently the battery can be charged in whichever plug available, without driving the machine to the charging area. Voltage Directive and of the Directive EMC. 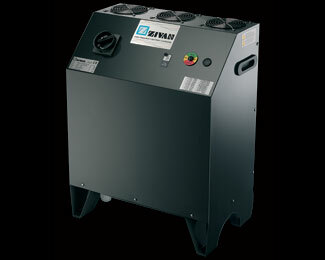 The Three-phase Chargers NG5/7/9 are innovative devices with extraordinary versatility, reliability and efficiency. Different software may be installed in order to change the charging features and to adapt them to every kind of battery. The high power and efficiency of these chargers assures the user of considerable energy savings with subsequent economic benefit. Thanks to this advantage, the investment in High Frequency products is quickly amortized. The Zivan chargers are classified amongst the products with the best quality/price ratio on the market. The Three-Phase charger NGTOP is an innovative device with extraordinary versatility, reliability and efficiency. Different software may be installed in order to change the charging features and to adapt them to every kind of battery. NGTOP is the highest power charger from Zivan's production range. The high power and efficiency of this charger assures the user of considerable energy savings with subsequent economic benefit.